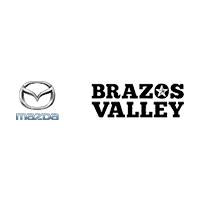 At Brazos Valley Mazda, we’re here for the needs of our customers and their vehicles. Whether it’s been 5000+ miles since your last oil change, or you notice a change in your vehicle’s braking, we at Brazos Valley know that everyone needs some peace of mind when it comes to servicing your vehicle. Our commitment to high quality car repair in a timely manner explains why so many of our customers keep coming back to the Brazos Valley Service Department. We proudly serve drivers from the greater Houston, College Station, and Cypress areas for any number of service needs. Our highly qualified technicians are more than happy to provide Brake Adjustments, Air Condition Repair, Balance Tires, Coolant Flush, Engine Tune-Ups, Front-End Alignment, Oil Change, Replace Muffler, State Inspection, Tire Rotation, Transmission Flush, even a Wash/Wax and Spotless Interior Clean and much more. If your vehicle needs adjustment or repair, Brazos Valley Service Department is here to resolve your vehicle needs so you can be back on the road in no time. We’re committed to making your vehicle function efficiently and safely, but we also know finding time for servicing can difficult which is why our customers appreciate when we strive to make the entire process as quick and painless as possible. Make your appointment online using our service appointment form. Simply fill out your car service needs and the time you’re available and we’ll do the rest. Sit back and relax as our car specialists service your car as quickly as possible.